I do not possess the linguistic capacity to express the “awesomeness” of this nail polish. But for you, I’ll try. Birefringence is a jaw droppingly beautiful polish that effortlessly stops people in their tracks. Planning on having a meaningful face-to-face conversation with a friend? Plan on an abrupt derailment as soon as he/she notices what your nails are up to. Remember though, it’s not their fault; you were warned! Birefringence shifts through an array of incredible blues, purples, reds, oranges, yellows, and even subtle greens! 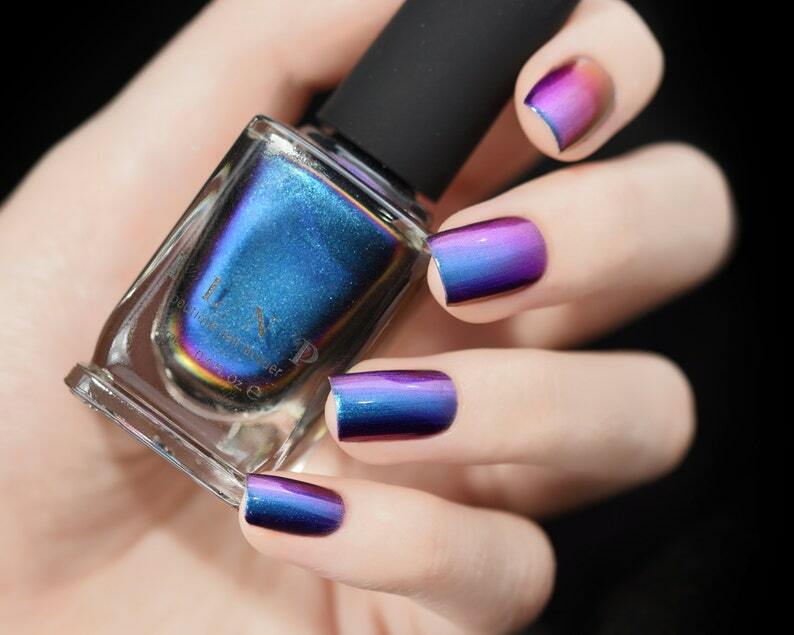 Birefringence is part of ILNP’s “Ultra Chrome” class of chromatic nail polishes; formulated to apply directly to the nail without the need for a base color.